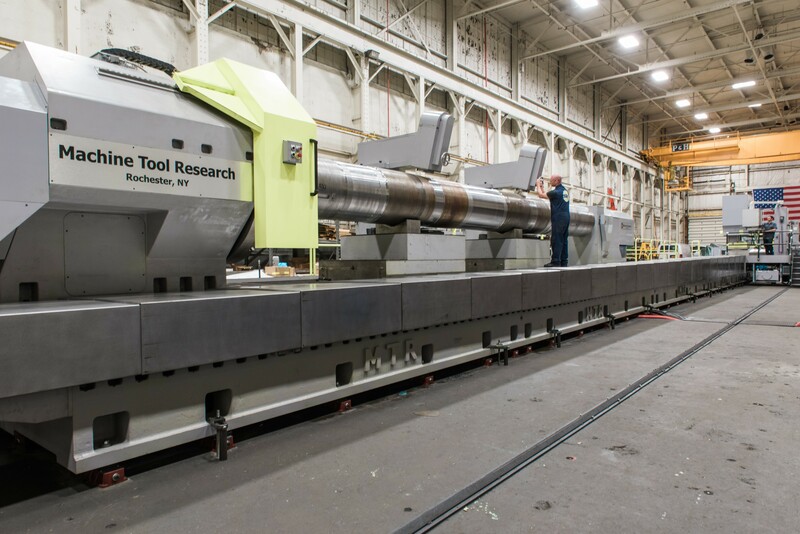 Machine Tool Research, Inc. (MTR) is a machine tool rebuilder. We rebuild all makes of machine tools from old to new condition including the latest CNC retrofit (Computer Numerical Control) controls and accessories to provide greater productivity. MTR provides plant and machinery relocation services to move your machinery to any place in the world. Our machine shop and engineering design capabilities make us unique in the machinery rebuilding business. Some of our capibilities are: Machining, New Machinery, Parts, CNC Retrofit, Rebuilds, Remanufacture, Retrofit, Service & Repair, and Machinery Moving. Machine Tool Rebuilding, Remanufacturing, Retrofitting, & Relocation. Let MTR be the one source for all of your machine tool needs. MTR is the OEM for the Farrel, Betts and Sellers machine tool lines. MTR can handle from individual pieces up to large quantity lots. We are equipped with CNC – lathes, horizontal boring mills and planer mills. Our Service Department can handle almost every machine tool and discipline in the machining industry. Our Engineering staff consisting of mechanical, electrical and CNC control experts can handle the design and engineering of any project. Our assembly floor consists of over 150,000 square feet and has been renovated with heavy cranes and modern heating and lighting systems. MTR can provide training for all types of CNC controls. MTR’s Quality Control Program and inspection equipment is MIL-I45208A Certified.